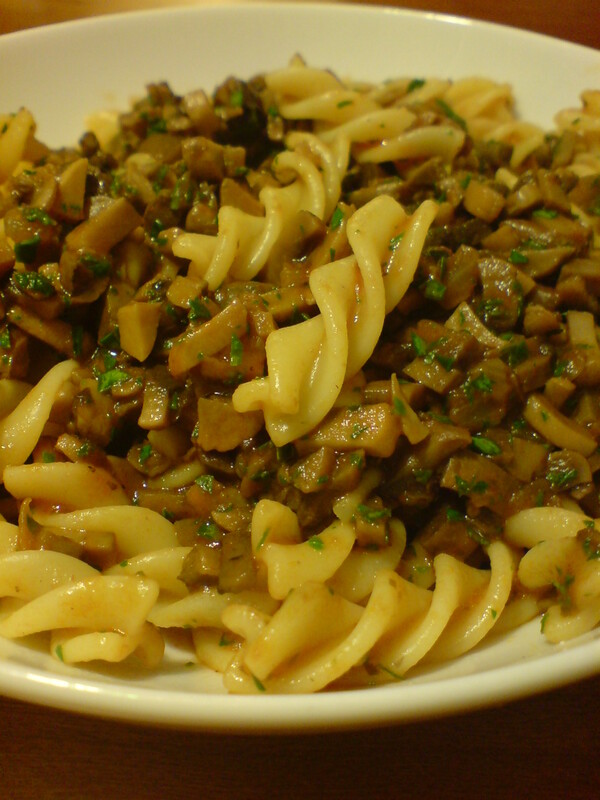 Fusilli Ai Funghi. 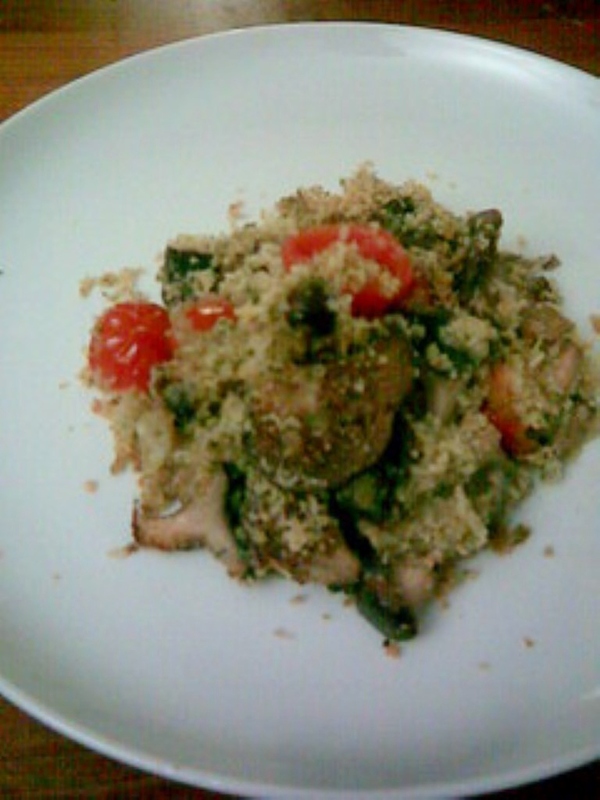 This dish works best if you use a mix of different types of mushrooms. 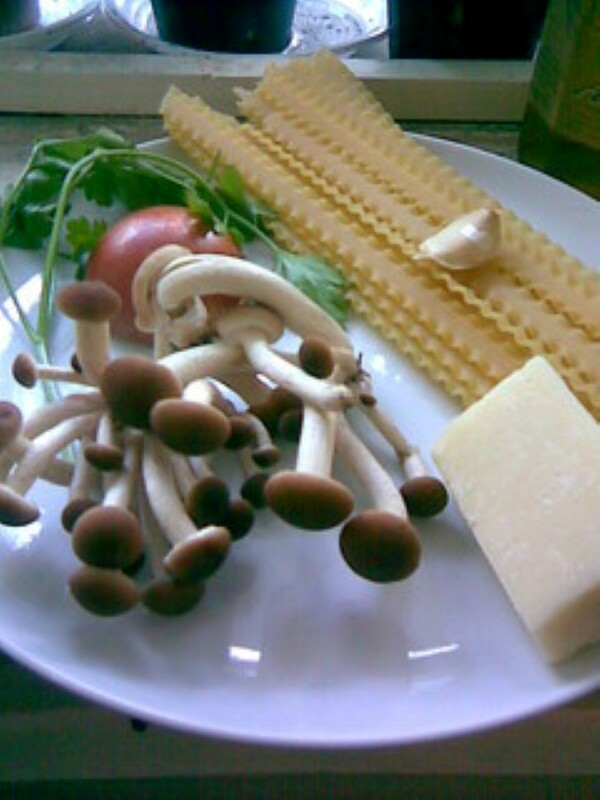 To all my Czech wild mushroom hunter friends – this is the perfect recipe :-). 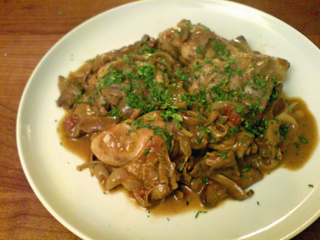 It works with any type however, and on this occasion I cooked it with standard field mushrooms. Serves 4. Wash and chop the mushrooms. How finely you chop them depends on taste and the varieties you are using. I could only get standard field mushrooms, so I chopped them quite finely. 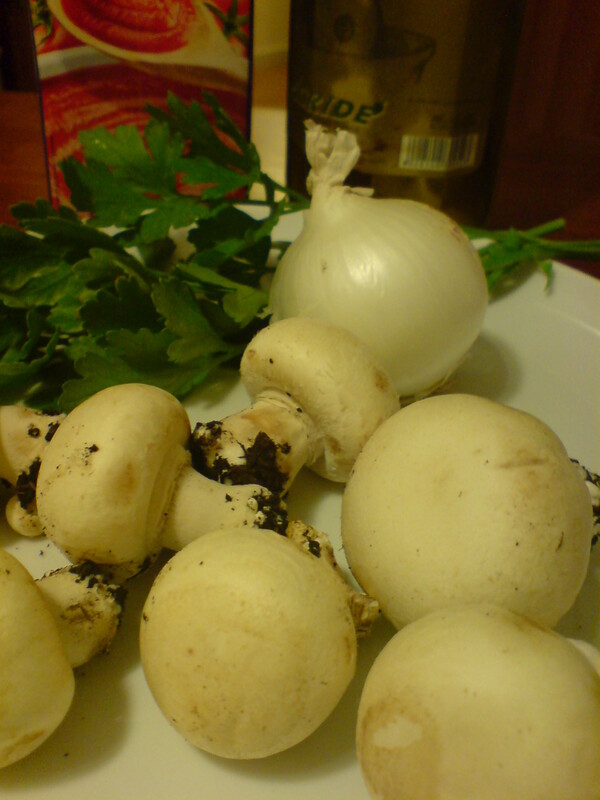 Fry the onion and mushrooms in olive oil until the mushrooms start to release their liquid. Add the tomatoes, season with salt and pepper, cover and cook over a low heat for 45 minutes. Remove from the heat and add the parsley. Cook the fusilli in plenty of salted boiling water until al dente. Drain and toss with a knob of butter (optional). 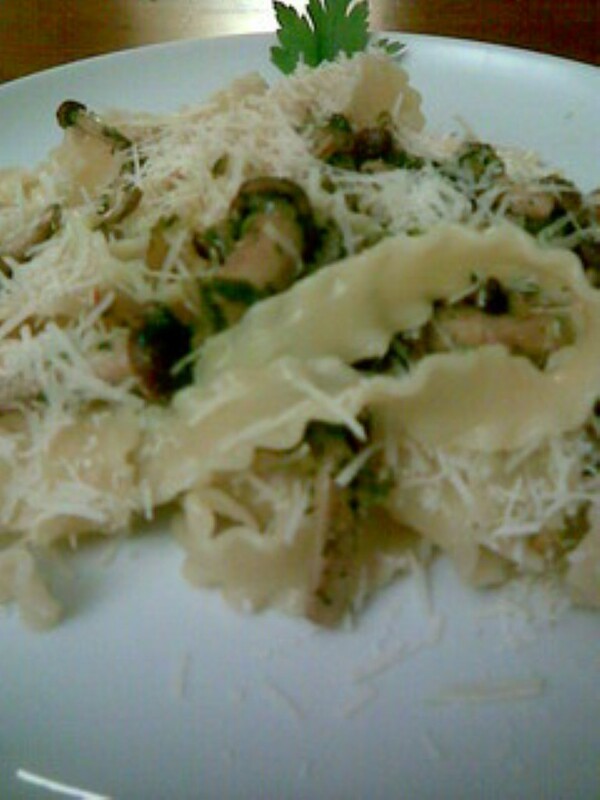 Mix the pasta with the mushroom sauce and serve with parmesan cheese on the side. Fry, in plenty of olive oil, the onion, garlic, mushrooms and parsley. 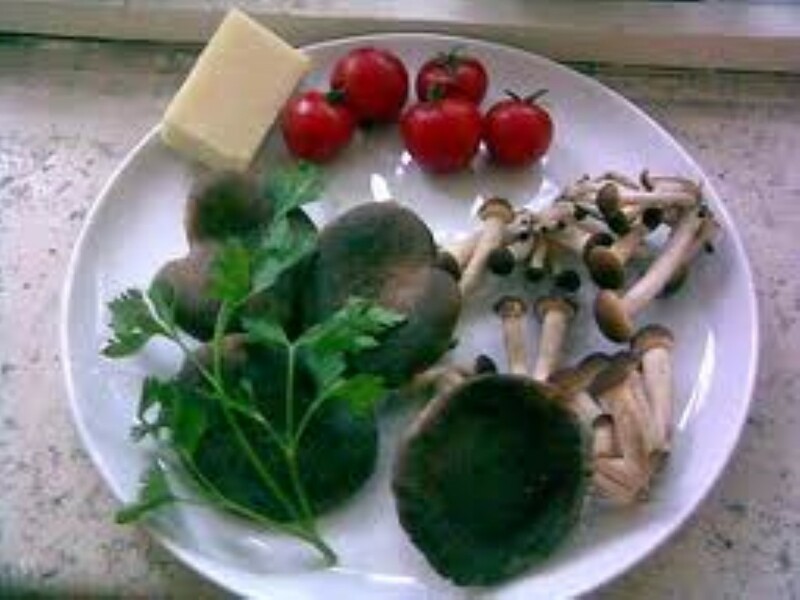 Season with salt and cook gently until the mushrooms start to release their juice. Mix with the cooked mafaldine and Grana and serve.